Do you know that grapes and raisins are toxic to dogs? Read about this in Cheryl's article on Grapes and Raisins. 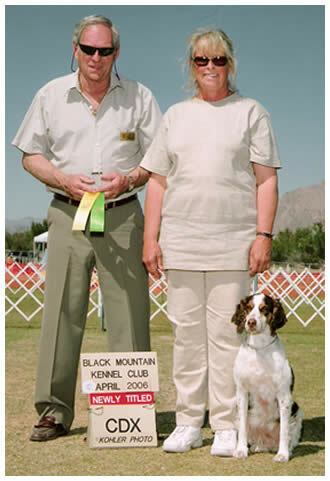 A rescued Brittany Spaniel owned by Cheryl Miller, Wendy received a First & Foremost Honorable Mention by Front & Finish for qualifying among the highest scoring Brittanys in AKC competition in 2005. 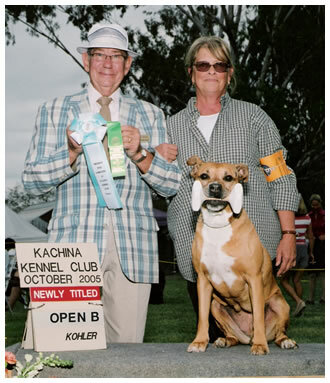 Wendy has completed her AKC-CD, CDX, NA, NAJ and OA. ASC-CD, CDX. USDAA-PD-1. She has legs toward her AKC-Agility Excellence title. "Our mission is to encourage growth for both owner and dog in an acceptable fashion, blending modern training technology with past art forms so as to create a companionship that could not be otherwise obtained."